This challenge was much stronger than any matched funding challenge you can find, no matter how big or which celebrity offers it. Furthermore, this video must have been seen by every student, staff member and alum, many times over. What would your president do?! Setting a target for giving days is a proven way to inspire donors: if you’ve done a giving day before (and hit your target), you will have seen many donors tweeting messages with #proud or similar after you have announced the success of your day. Can we create more powerful sentiments from more people? Alumni clearly love their alma mater to perform to its targets, so just imagine how much they want you to outperform comparable or local institutions. Sporting rivalries transcend the white lines of the field, so why not use those rivalries in fundraising? The Colleges of William & Mary is a single institution that was once two, creating a naturally competitive but friendly theme for their giving days. They received 2,005 gifts in 24 hours, and your rivalries might create even more fighting donor spirit! 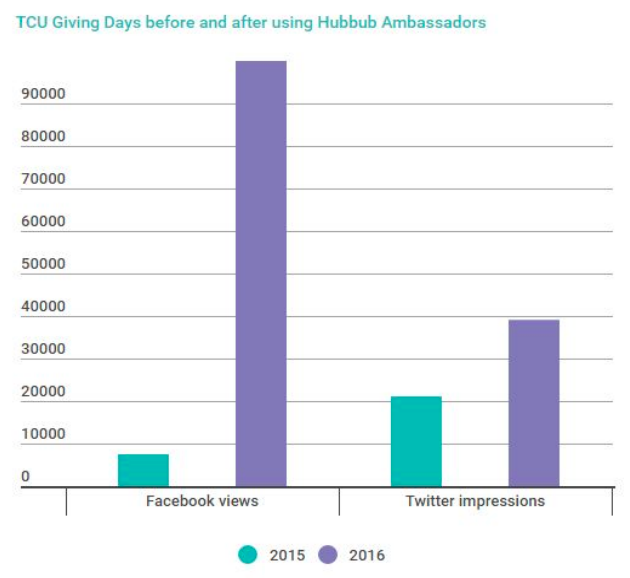 Increasingly, institutions are seeing the importance of social media ambassadors on their giving day because of the extra reach they give your messages and the donations they generate. They are often offered prizes as an incentive, typically t-shirts or major donor experiences, but they really only share your messages because of the warmth they feel for you and your causes, so why not double-down on that sentiment? 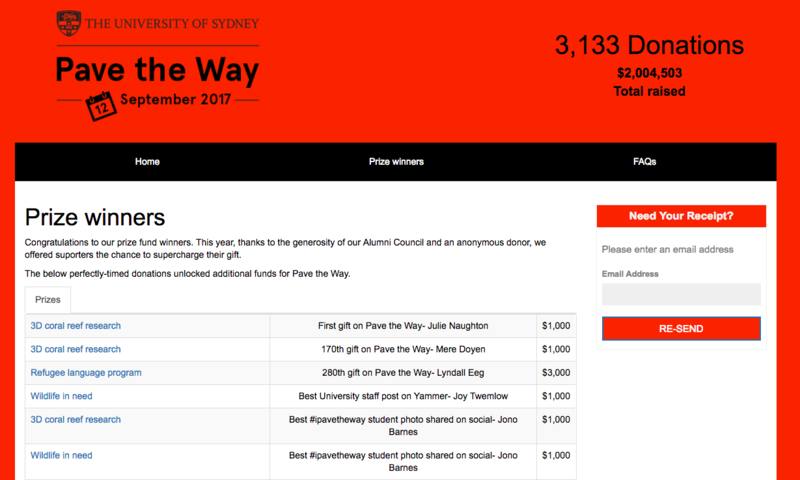 The University of Sydney created prize funds for donors to "supercharge" their gifts. Do the same for your ambassadors, allowing them to choose how to designate the prize funds to one of your causes. Your ambassadors are special - this is a way to let them feel their impact is too. Institutions with established major giving programs have run successful giving days with a single and very large major matched funding challenge. But finding a similar size gift year after year isn’t easy - just ask them! But perhaps you don’t need one. Lots of smaller challenges can be an incredibly effective way of encouraging new donors to engage because of the way it helps you communicate with them: During a giving day you will want to send as many emails asks as you can, and thus it’s important for these emails to contain different asks and personal asks. This can be achieved through different challenges because each challenge is personal to a different segment of your community, e.g. staff, students, young alumni or you can choose challenges for different genders, geographies, subjects… If you have enough, many challenges will reach the same donor, and the right one can trigger that critical first gift! If you're running your own Giving Day then be sure to check out our free Ultimate Giving Day Guide.